This was one of those adoptions that was absolutely meant to be. 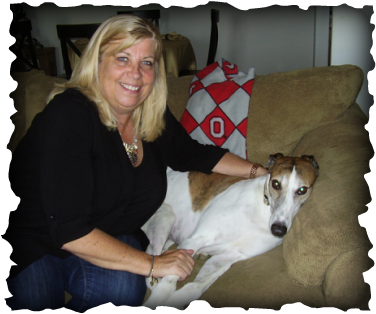 Lori of Centerville wanted a super personable dog to take to work each day at a senior care facility. Easi Decameron, known as Cam, is a Velcro boy who loves people and craves attention. These two are a wonderful fit. Cam knew it right away as he climbed up on the couch next to Lori within minutes of meeting her. He had a new bed and a variety of toys waiting for him, and he's going to be a very happy guy in his new home. We hope to see Cam and Lori at lots of GAGC events.